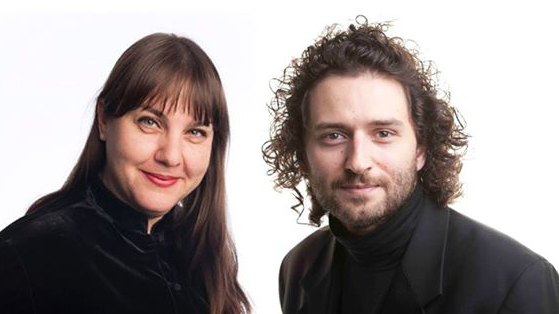 Violinist Monica Curro and pianist and composer Stefan Cassomenos will jointly succeed Iain Grandage as Artistic Directors of the Port Fairy Spring Music Festival from 2019. This news comes after the recent announcement that Grandage has been appointed Artistic Director of the Perth Festival from 2020, with his final Port Fairy Festival taking place this year. Curro has served as Assistant Principal Second Violin with the Melbourne Symphony Orchestra for 19 years. Prior to her time with the MSO, she spent five years with the Australian Chamber Orchestra. Curro is also on the Board of the Australian Youth Orchestra, is an active teacher of young musicians, and a prominent public speaker. Cassomenos is a familiar face to Port Fairy attendees, with a long performing association with the Festival. He is considered one of Australia’s leading pianists and is a prolific composer and conductor as well. Both Curro and Cassomenos are founding members of the acclaimed Melbourne-based Plexus ensemble. The iconic Melbourne theatre has received a state government grant after it was gutted in a fire last month. The specialist classical music store on Bourke St will close its doors this month after 96 years. Melbourne’s annual awards ceremony for the performing arts recognises last year’s best and brightest. A photographic exhibition in Melbourne explores the public and private life of the iconic Australian composer. A live stream invites audiences behind the scenes as the company previews an adaptation of Flaubert’s Three Tales. Setting aside the composer’s pen, the festival’s AD explains how curation allows him to “dream on a bigger canvas”. Exquisite performances of assorted Baroque works at UKARIA.